How do I search for an item in the library's collection? 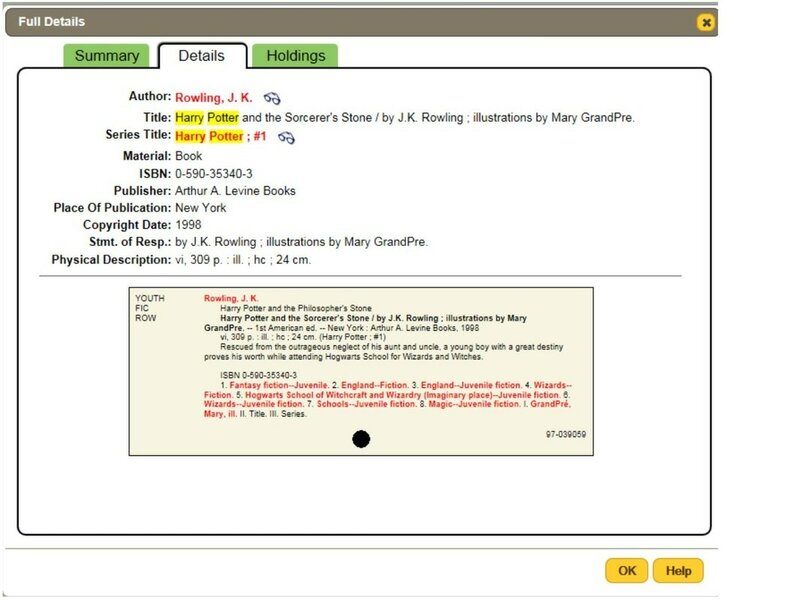 Click on the button below to be connected to the library's OPAC (Online Public Access Computer) system. On the top left, you will see a search box. You may enter in your query into the box, and press enter. This will perform a broad search that may find what you need. There are three buttons below the text entry field. Advanced -- This will allow you to search by specific fields, such as Title, Author, Series Title, Subject, Copyright, or ISBN. Combo -- This will allow you to quickly search multiple fields: Title, Author, and Subject. Media -- This will allow you to quickly search for a particular type of item: Audiobooks, AVJ, CD, DVD, and eBook. For more advanced searching, you may click on the tabs just below the search box. Study Programs -- This allows you to search our children's collection for items that have been classified as AR (Accelerated Reader). The AR information in each book will tell you the AR level and the points level. Readers -- These books are designed just for those learning how to read. These are great for pre-schoolers or young grades. Recent Additions -- You can search the items added to the library in the last 90 days. Award Winners -- These will search specifically for award winners. The awards featured are Newbery, Caldecott, and National Book Awards. You may also narrow your search results on the left of the page. Click on the Search Within box to perform a more narrow search within the already existing search. You may also want to narrow only to the audiobooks in OPL's collection. Simply select Audiobooks inside the Material Type box. Each of these tabs holds very useful information. The one that is most useful to most patrons is the Holdings tab. 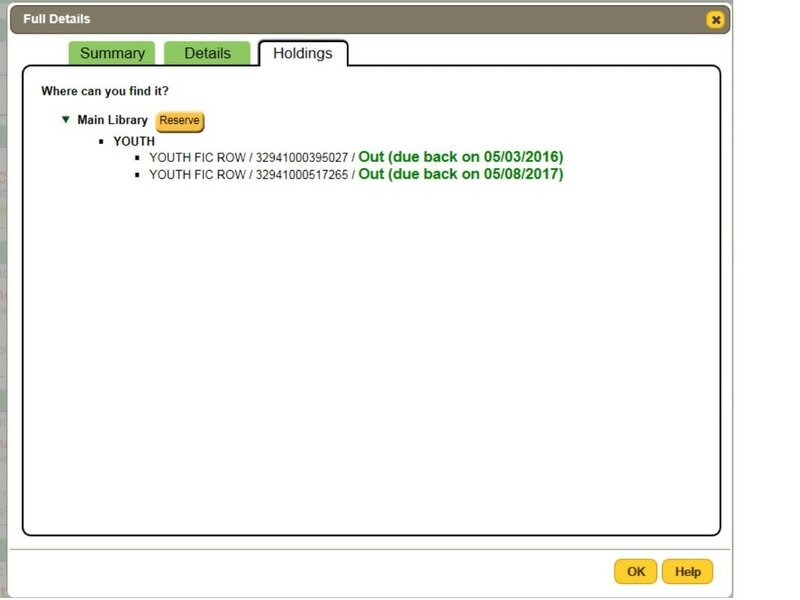 Using this tab, you will see how many copies of this item is in the library's collection, and when each of them is due back. (Note that there may be more items with the same title, but paperbacks are a different item than the hardcover version.) Also on the Holdings tab, you may click on the Reserve button at the top to reserve this item. When it checks in, the library will hold it for you at the front desk. ​​As always, if you have any problems or questions, please contact the OPL staff. We are always glad to help!